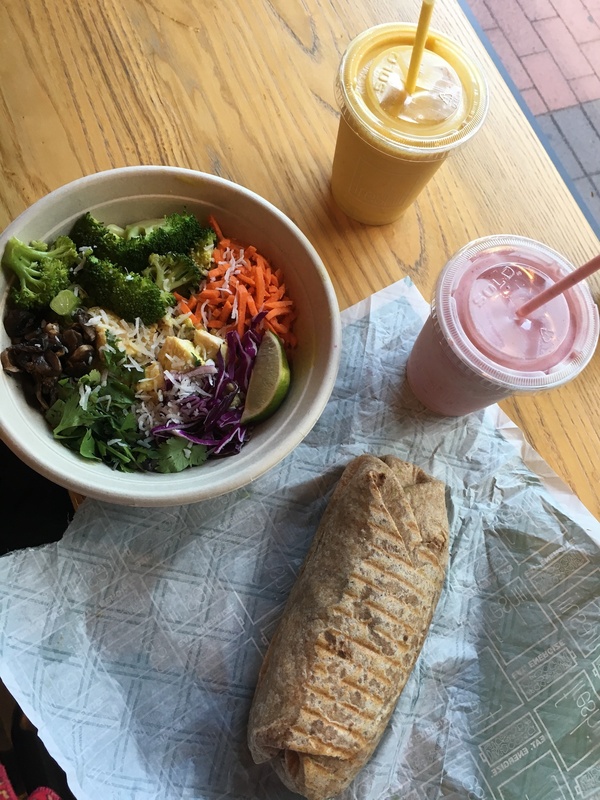 This week's Tasty Tuesday is Freshii. It is located right between I Love NY Pizza and Jimmy John’s on Hillsborough street. A convenient place to go when you are looking for a super healthy meal and do not have a lot of time to cook. Freshii was a great choice for me after a run outside on a hot summer day. It was a much needed refuel for my body that was healthy and tasty. When I walked in I was greeted by friendly staff that guided me through the menu since it was my first time there. All of their options start out as vegetarian, but you have a choice of adding meat to anything you choose. They even have small clipboards on the side that are used for people who want to customize their order. With so many different options, I had a hard time deciding what I wanted to try. They have breakfast, lunch, dinner, snacks, desserts, and smoothies. It is literally a one stop shop for all your needs. 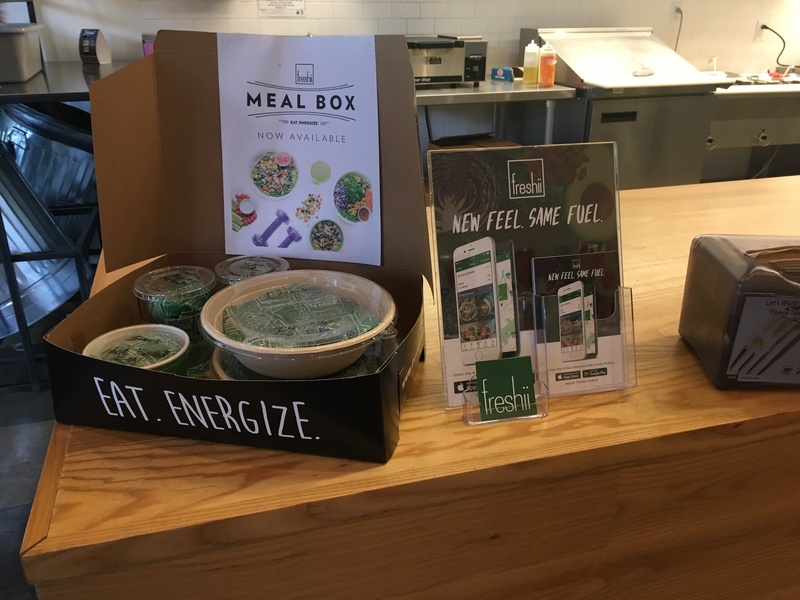 Freshii continues to promote a healthy lifestyle even when you are at home with their meal box. It is healthy meals and snacks made specifically for your personal nutritional needs. The meals can be be prepared for up to 30 days. I love working out and eating healthy but I am always on the go, so I really appreciated that option. For lunch, I was deciding between their salads, wraps, bowls, and burritos. After contemplating so many great choices, I finally decided on the Tex Mex burrito and my friend chose their new Bamboo Bowl. We also paired it with a Strawberry Banana Smoothie and a Recoverii Smoothie. While we waited for our food to be prepared, we noticed a periodic table on the wall with different foods. 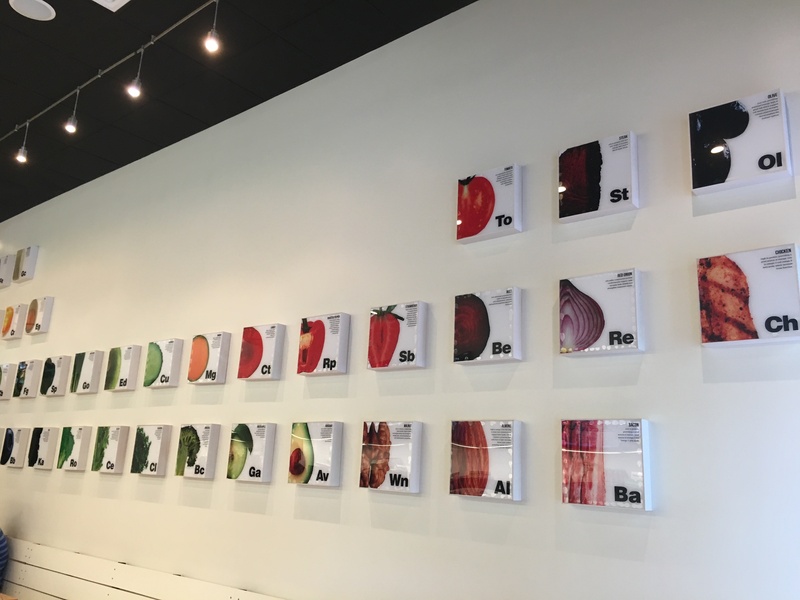 We were told that there were all super fruits and vegetables with its nutritional benefits listed for each one.There were two floors of seating areas with lots of windows in the front and back of the building. It was very open and it had a very fresh and clean atmosphere. The walls were filled with greenery in different areas throughout the shop. 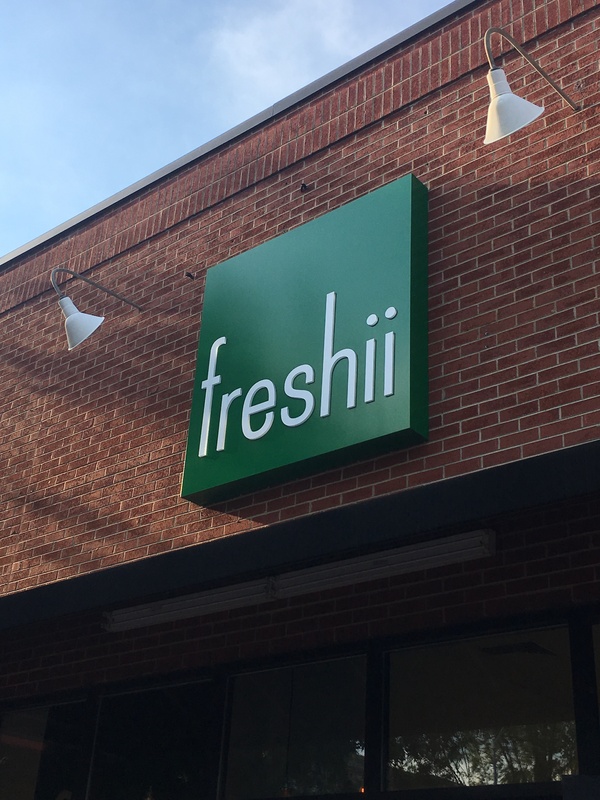 In the front, Freshii is displayed on top of the greenery so people can see it when you walk by on the street. When we got our food I was delighted with how great the burrito tasted. It had healthier substitutes compared to a typical burrito that I have had at other places. After an intense workout, I did not have any regrets eating this burrito. The smoothies were super thick with low fat frozen yogurt. 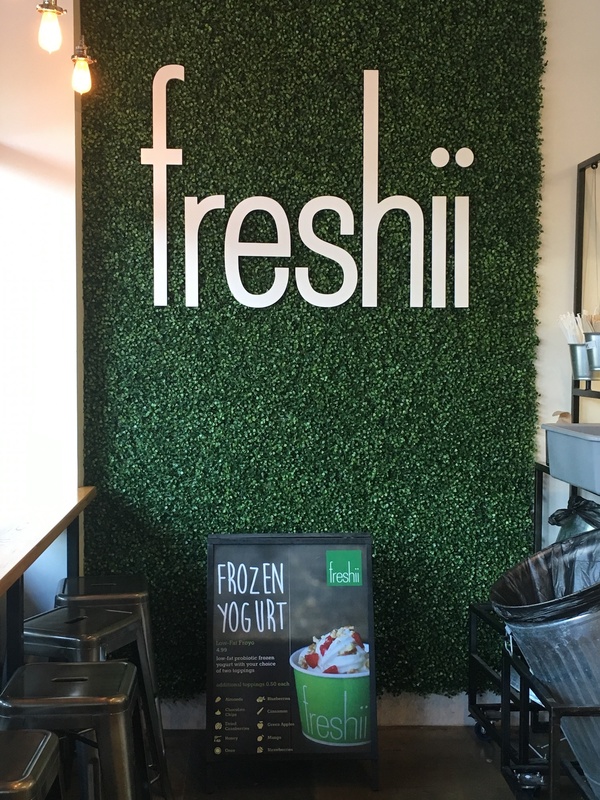 I look forward to future Freshii visits, and cannot wait to try more of their healthy options, especially their frozen yogurt. YUM!